The latest US Air Force budget request aims to keep the U-2 equipped with state-of-the-art sensors, data links and other systems. The service plans to spend more than half a billion dollars on Dragon Lady developments over the next five Fiscal Years (FY2020-2024). 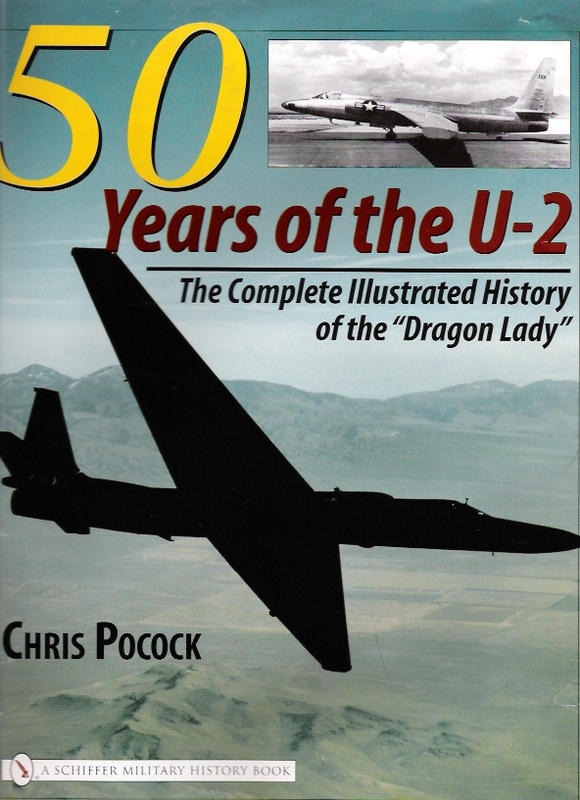 When installed, some of them result in a redesignation from U-2S Block 20 to Block 20.1. Some of them also mitigate the problem of Diminishing Manufacturing Supply and Material Shortages (DMSMS), which is sometimes characterized as ‘vanishing vendors’. The largest proportion of funding goes to the ASARS-2B radar that I described here two years ago (scroll down to read the story: “Radar Imaging Could Be Even Better). You read it here first – Raytheon only recently announced it. The company gave a value of $320 million for the recently-awarded Engineering and Manufacturing Design (EMD) contract. A “technology demonstration” radar (eg prototype) has recently completed four months of flight tests on the U-2 from Palmdale. The antenna from this radar will be retrofitted as part of the EMD contract, which also includes the first two production systems. The new Active Electronically Scanned Antenna (AESA) doubles the radar’s range and improves moving target tracking, while aiming to retain the mapping resolution of the current ASARS-2A system. It also permits simultaneous interleaving of modes. ASARS-2B comes with a new Power Conditioning Unit (PCU) and Liquid Cooling System (LCS), plus a new Receiver Exciter Controller (REC). There is new radar data processing software, including a new maritime surveillance mode. But U-2 program managers would like to completely replace the On Board Processor (OBP), which would result in another redesignation to ASARS-2C. Despite the development work already accomplished on ASARS-2B, there is evidently still a lot to be done. The Preliminary Design Review (PDR) is due next October, and the Critical Design Review in June 2020. It takes 18 months to produce one of these highly sophisticated surveillance radars. Therefore, flight-testing of the first production system will not start until late 2021. The Initial Operating Capability (IOC) is not expected until sometime in Fiscal Year 2023, which begins in October 2022. As for the U-2’s other sensors, the optics and focal planes of the SYERS-2C long-range multispectral electro-optical system are already being enhanced with FY2019 funds, and the long-serving Optical Bar Camera (OBC) is getting a “technical refresh.” The ASIP SIGINT sensor is being improved to exploit “new signals of interest,” and a quick reaction capability (QRC) is being developed. A separate SIGINT sensor from BAE Systems has been flown on a U-2, and I hear that there are plans for a next-generation SIGINT system named “Ghost”. The U-2 has been acting as an informal communications relay platform for many years, and has more recently connected fifth-generation stealth fighters with other platforms in a test program. Now, a proper design and integration effort is underway so that the Dragon Lady can offer tactical datalinks such as the ubiquitous Link 16; the Intra-Flight Data Link (IFDL) which is unique to the F-22; the Multifunction Advanced Data Link (MADL) which is unique to the F-35; and the Integrated Broadcast Service (IBS) for dissemination of intelligence. The U-2’s avionics processor will be upgraded, and a Flight Data Recorder installed for the first time. There are plans to replace the INS/GPS system, and work to add an astro-inertial system (eg a ‘star-tracker’) is proceeding. It will fit in the top of the E-bay behind the cockpit, alongside the INS, and provide an alternative precision navigation and timing (PNT) capability. In the wake of the fatal U-2ST crash in September 2016, there was some concern about the performance of the ejection seat. This is an old Lockheed design, which is 80 per cent the same as the one in the long-retired SR-71. Every time a U-2 returns to Palmdale for depot overhaul, the seat is completely dismantled, and thoroughly checked and overhauled. Nevertheless, a study was started last year on whether to replace or improve the seat. Lockheed Martin was funded to do some computer modelling and simulation of roll and descent rates, and to build a mock-up that could be tested in a wind tunnel. One of the big issues is the weight of the pilot to be ejected, when fitted with the heavy pressure suit. In any case, there will be a “technical refresh” of the pressure suit and helmet. 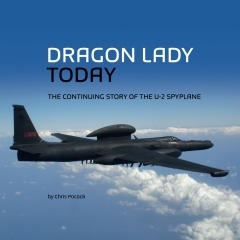 The Dragon Lady is also involved in some other flight-test programs. These include two ISR initiatives from the Air Force Research Laboratory (AFRL), the hyperspectral Agile pod that was originally designed for the MQ-9 Reaper UAV, and a system named IRASCIPLE with undisclosed sensors. They also include continuing efforts to comply with Open Mission Systems and unmanned control standards. Some outside observers wonder whether the U-2 airframe can withstand a high tempo of operations into the future. In FY2020, more funds are requested for the Loads and Environment Spectra Survey (L/ESS) which aims to prove the jet’s structural integrity, through analysis and the fitting of strain gauges. Lockheed Martin believes that the aircraft is good for 75,000 hours. Pending the results of the L/ESS, the Air Force has halved that lifespan. But the only aircraft approaching that lower milestone are the four remaining in service from the original 1968 production run. To summarise, these developments and some others that are not publicised (such as the potential for offensive systems) will ensure that the U-2 remains viable for many years to come.